Hi! 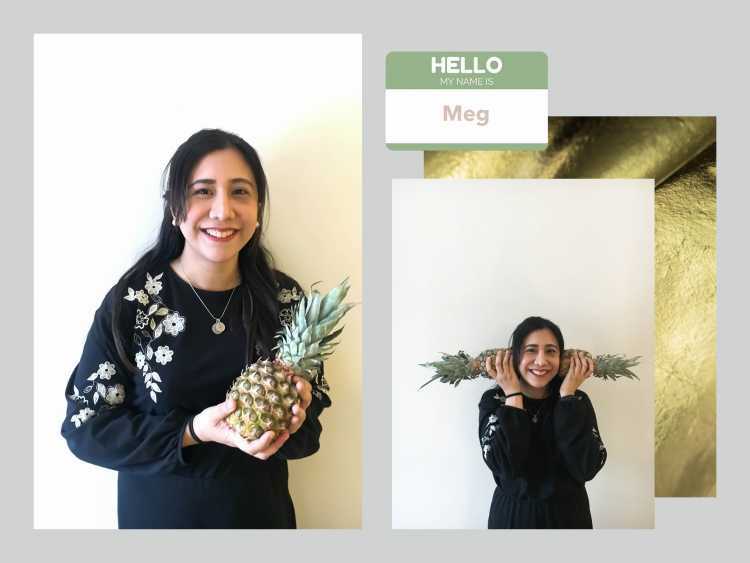 I’m Meg Montes, Operations Manager at Ananas Anam. I’m originally from the Philippines, and I have just completed my MBA at London Business School last Summer. Prior to the MBA I worked at Narra Ventures, a Manila-based venture management group that is investor and board advisor to companies in Silicon Valley and in Asia. For my undergraduate degree I studied Industrial Engineering at the University of the Philippines. Industrial Engineering an exciting field that includes supply chain management, operations research, methods engineering, and ergonomics, among many other interrelated disciplines, all of which are very relevant to my role today. What does Piñatex mean to you? Piñatex is a beautiful textile that provides new income streams for farming communities. The Philippines has vast lands used as pineapple plantations, and their leaves are disposed of after the fruit is harvested. We want to encourage farmers to extract value from these leaves by converting them into fibres, rather than throwing them away as waste. The Philippine hand-woven Piña fabric, which is made of the same fibres used for Piñatex, is considered exquisite in our culture. It is regal – strong and sheer at the same time – and is usually worn on special occasions. However synthetic materials have been taking over, because they are cheaper and easier to produce. Much is needed to be done to encourage Filipino farming communities to continue the local tradition of producing fibres from pineapple leaves. What Piñatex has done is introduce a new, innovative use for these pineapple leaf fibres, and hopefully through Piñatex more Filipino farming communities become excited to produce this raw material. I had the opportunity to visit some of the farms that harvest the leaves and produce the fibres, and when the workers were shown a shoe made of Piñatex, their faces would light up. Witnessing this inspires me to work hard, together with our partners, to develop to new methods to make the pineapple leaf fibre production more scalable, and I hope that as an offshoot these new methods also help sustain the Philippine traditional textiles. I got into Huel (www.huel.com) last September and have been a fan since! Huel reduces food waste, and it has also helped me become very efficient about staying healthy.